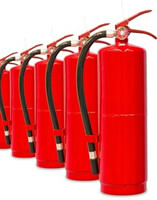 Fire Marshal Bespoke Training Course – Duration Half Day. The Half day, Fire Marshal Bespoke course identifies the responsibilities and duties of a Fire Marshal. of the course is to enable delegates to either establish, or enhance a knowledge of, and give the confidence to, carry out prescribed, nominated duties within their workplace. realised will be for delegates to recognise and appreciate their duties in relation to Fire Marshalling. They will have a better understanding of human behaviour and be better able to carry out the duties of a Marshal, in an Emergency situation. 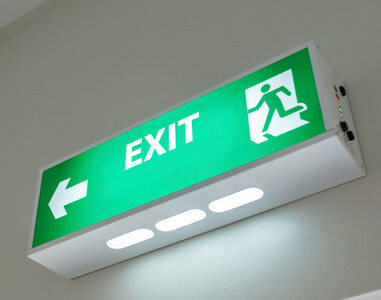 Delegates will be able to recognise and understand both active and passive Fire Safety measures and be able to identify Fire Safety provisions such as Fire Alarm and Detection systems, Fixed Installations and Portable Fire fighting appliances. The course will give delegates a more in depth understanding of the Evacuation plan and procedures and offer guidance and techniques in carrying them out. Delegates will reinforce their knowledge of Fire Safety in their workplace through use of Fire Risk Assessment procedures with specific reference to the Fire Risk Assessment documentation. Basic Fire Awareness and Actions in case of Fire. The Fire Marshal Bespoke course will be of benefit to all persons who will be nominated for, or, who already have been designated to, fulfill the duties of a Fire Marshal. The course will also be of special benefit to Managers and Employees with a designated Fire Safety responsibility. Training is carried out in an informed but informal manner. Preference is given to a personal, individual and interactional approach with the subject matter, tailored to the levels of needs and requirements of the delegates. The role and duties of a Fire Marshal. 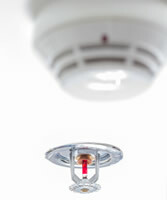 Fire Safety provisions, installations and appliances. Department for Communities and Local Government Fire Risk Assessment. 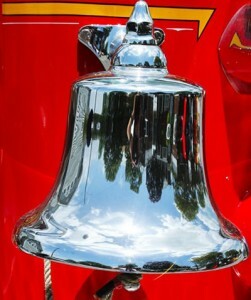 London Fire Risk Assessments are trained and follow training schedules and regimes adopted by the London Fire Brigade. All training will be carried out by Clive Lewis TIFireE and will be in accordance with an agreed Letter of Engagement. Clive is a Technician in the Institution of Fire Engineers and was accredited on their Register of Fire Risk Assessors and Auditors as a Life Safety Auditor. He is currently accredited as a Life Safety Assessor. He is the first person in the Country to have obtained both accreditations. Training is offered within the Applicants own Premise to minimise costs, disruption and inconvenience and to maximise the use of the defined delegates time. Numbers of persons attending training courses is usually restricted to Ten persons so as to maintain the individual and interactional approach and to be able to offer all persons maximum learning opportunity. Increased numbers can be accommodated, by arrangement and agreement. Prior knowledge of the delegate’s workplace, responsibilities and requirements in regards to the outlined course would enable the Trainer to prepare and present the course content more specifically. If any delegates have any difficulties, disabilities or vulnerabilities, the Trainer would appreciate knowledge of these so as to help and support in any individual requirements both in regards to learning and living. Responsibility for delegates rests with the Premise’s Responsible Person/s, both in terms of Health & Safety and Fire Safety. Persons attending the course will be expected to supply their own note taking material, all other documentation will be supplied by London Fire Risk Assessments. The Trainer will endeavor to be On-site One hour before the course commences so as to familiarise themselves with the Premise and facilities. Any copies of existing Fire Risk Assessments, Fire Emergency Plans and other related Fire Safety documentation in relation to the Premise, being made available at this time would be greatly appreciated.